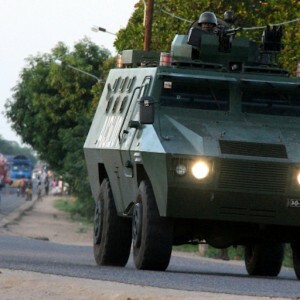 Just when the ancient Mozambique Liberation Front (Frelimo)-Mozambican National Resistance (Renamo) quarrel was showing some signs of being resolved, a new armed group has popped up from nowhere this month to launch several armed and deadly attacks in the north. These are believed to be the first Islamist attacks in Mozambique and have caused shock and bewilderment in the country and the region. According to the Shabelle Media Network in Mogadishu, a group of about 30 men attacked three police stations in the small town of Mocímboa da Praia in the northern-most province of Cabo Delgado, about 30 km from the Tanzania border, early on 5 October. ‘There was a prompt response from the police; two AK-47 rifles were seized,’ said Inacio Dina, spokesperson of the General Command of the Mozambican police at a press conference in Maputo. He said two police officers were shot dead, and two gang members were captured. According to other reports, 16 people died, including a community leader. The same group, it seems, struck early on 21 October, clashing with government forces in the fishing village of Maluku, some 30 km from Mocímboa da Praia. ‘These attacks prompted the villagers to flee and the village is currently deserted,’ a security industry source said. Further clashes were reported by independent sources during the night of 22 October at a village called Columbe, about 16 km south of an installation of Texas-based Anadarko Petroleum Corporation which is exploring for oil and natural gas there. The company is evacuating its personnel, the sources say. Locals called these raiders ‘al-Shabaab’. Whether they call themselves this too, or whether it’s because of their headgear and what they reportedly told locals after occupying Mocímboa da Praia – that they rejected state health and education and refused to pay taxes – is not yet clear. There was understandably speculation at first that they were linked to the Somali jihadist group of the same name. But Dina cast doubt on this interpretation from the start, as he said they spoke in local languages including Swahili and Portuguese. There now seems to be consensus that they are local Muslims. Eric Morier-Genoud, the Mozambican-born political scientist from Queens University, Belfast, wrote in The Conversation that this was a group of local Muslims formed in 2014 and calling itself al-Shabaab. 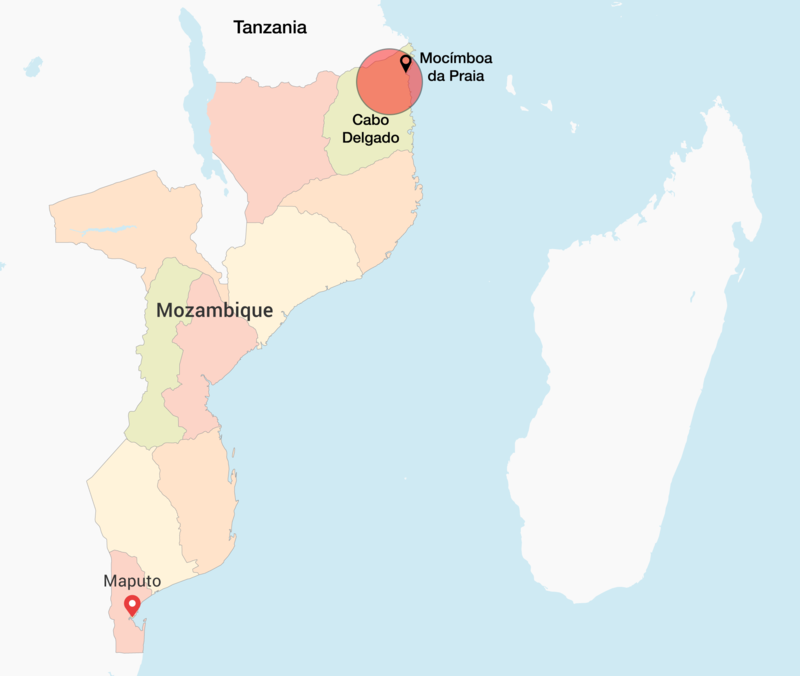 Mozambique has a significant Muslim population ranging in size from somewhere between an official 17.8% of the total population to, unofficially, 30%, according to some Muslim community members themselves. It’s mostly concentrated along the northern coast. What motivated the local al-Shabaab to suddenly launch these concerted attacks at this time is hazy. The Muslim faith was originally discouraged by the ruling Frelimo party in its Marxism-Leninist phase. But after it shifted to multiparty democracy in the early 1990s, this policy changed and all faiths were tolerated – if only to avoid alienating potential voters. Nonetheless, there are differences over questions of education and perhaps other issues, the same sort of issues as with similar fundamentalist groups elsewhere. The local al-Shabaab – like Boko Haram in northern Nigeria – evidently objects to Western-style education, and particularly to boys and girls being taught in the same classroom, some observers say. For Frelimo, on the other hand, boys and girls should be taught together. Anything less would be tantamount to discrimination. He believes ‘this “next Renamo” will feed on deep divisions in the Mozambique Islamic community, fuelled by Saudi-Wahhabi zealots who have ingratiated themselves with Frelimo.’ Most Mozambican Muslims follow the mystic Sufi school rather than the harder-line Wahhabi sect. The Wahhabis have nonetheless gained greater political and economic influence. This inter-sectoral rivalry, however, doesn’t seem to explain the al-Shabaab phenomenon since the local al-Shabaab is apparently also Wahhabi. Dr Liazzat Bonate, a historian at the University of the West Indies in Saint Augustine, Trinidad and Tobago, suggests the problem may be more about class, race and exclusion. She says there are ‘official Wahhabi groups, such as those affiliated to the Islamic Council which is officially recognised and collaborates closely with the government and international NGOs and even donor states’. She says the anti-establishment Wahhabis tend to represent lower classes and poor rural blacks, who complain about injustice, racism and oppression. Whether this explains al-Shabaab is too soon to say. But she points out that the socio-economic ground is fertile for it to gain support among the northern Muslim youth who are being cut out of the incipient prosperity produced by the finds of oil, gas and other natural resources in Cabo Delgado. Bonate says many abuses are happening around extraction of natural resources in the province. She cites a report from France 24 in July this year that showed images of Mozambican police allegedly ‘abusing, humiliating and torturing’ artisanal miners. They had been arrested for mining without permits near the Montepuez ruby mine. Though the report said the British company Gemfields was the majority stakeholder in the mine, Bonate believes the local ownership is aligned with Frelimo. Cheryl Frank, head of the Transnational Threats and International Crime programme at the Institute for Security Studies in Pretoria, says that internationally, Southern Africa is widely seen as immune to terrorism, though regional governments are very worried. ‘We currently have a window of opportunity for prevention and early intervention that is unusual and shouldn’t be ignored,’ she says.